Israel is often portrayed in a uniquely bad light, with few positive stories to counterbalance an otherwise negative picture. This month, there was a new example of this phenomenon; a positive story about Israel which was objectively newsworthy, was not reported at all in the UK. One of the most pressing issues in third world development is the need to provide electricity to more people in Africa. Today, there are 600 million Africans who are not connected to electricity, and this has a tremendous impact on their quality of life and future prospects. 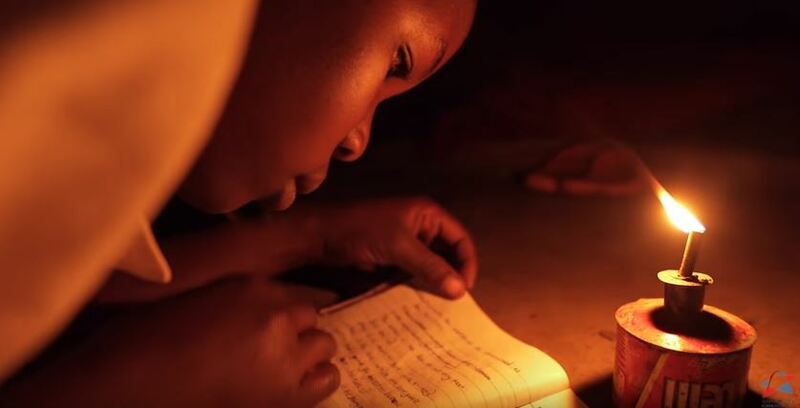 Students study by candle light, whole villages have no ability to maintain vital medical supplies that require refrigeration, and without the means to charge a computer, one is cut off from the internet, and the vistas that that would open. In a powerful anecdote, one field worker described how the first night they travelled to a certain African town, they drove through the whole town before they realised they had arrived, because there were no streetlights or lights in any houses. 600 million Africans are living in darkness. This issue has received extensive media coverage over the past few years. In the Economist, one can find articles here, here, here and here. In the Guardian, one can read articles about the need to provide more power to Africa here, here, here, here and here. I agree with everything in this article. It’s yet another example of the hatred of Jews and Israel. So…what’s new. You need to ask why, Aron? Hint: what begins with ‘anti…’ and ends with ‘…semitism’?